The second edition of "Tigers of the World" explores tiger biology, ecology, conservation, management, and the science and technology that make this possible. In 1988, when the first edition was published, tiger conservation was still in its infancy, and two decades later there has been a revolution not only in what is known, but how information about tigers is obtained and disseminated. In the fast changing world of conservation, there is a great need to summarize the vast and current state-of-the-art, to put this into historical perspective, and to speculate in what yet remains to be done. 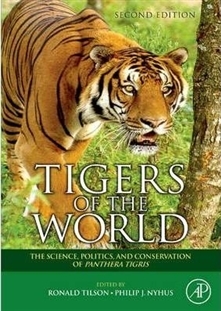 "Tigers of the World, 2e" fulfills this need by bringing together in a unique way the world's leading tiger experts into one volume. Despite the challenges ahead, there are bright spots in this story and lessons aplenty not only for tiger specialists but large carnivore specialists, conservation biologists, wildlife managers, natural resource policymakers, and most importantly the caring public. 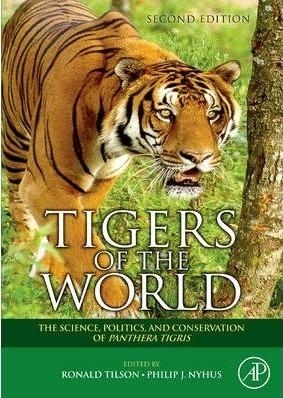 It examines the past twenty years of research from the world's leading tiger experts on biology, politics, and conservation. It describes latest methods used to disseminate and obtain information needed for conservation and care of this species. It includes coverage on genetics and ecology, policy, poaching and trade, captive breeding and farming, and the status of Asia's last wild tigers. It is an excellent resource for grad courses in conservation biology, wildlife management, and veterinary programs. New volume continues the classic "Noyes Series in Animal Behavior, Ecology, Conservation and Management".